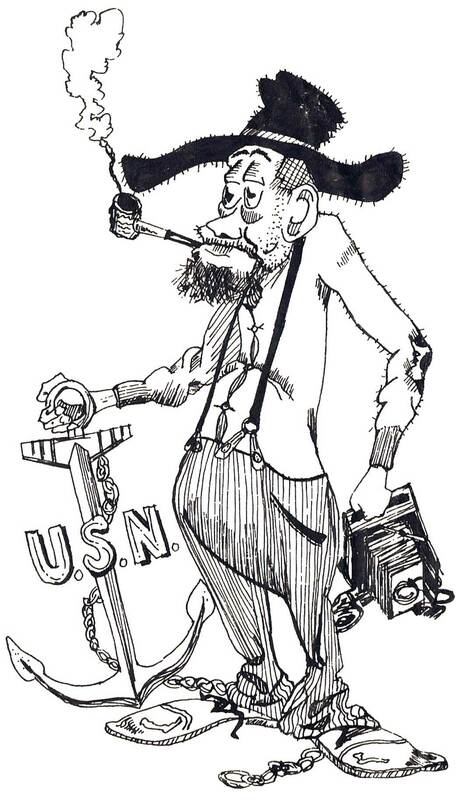 VFP-62 commanding officer, Cdr. 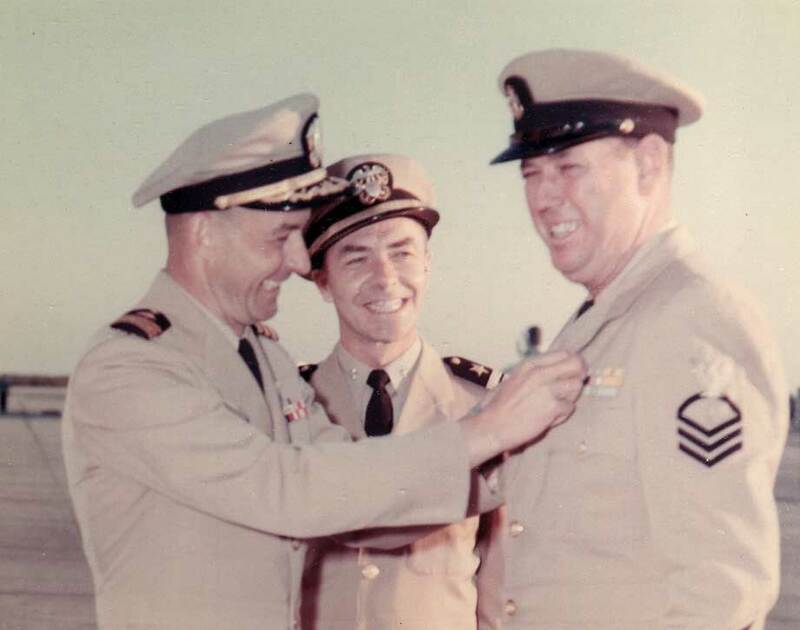 William B. Ecker, pins the Navy Unit Commendation ribbon on Chief Newman, with Cdr. 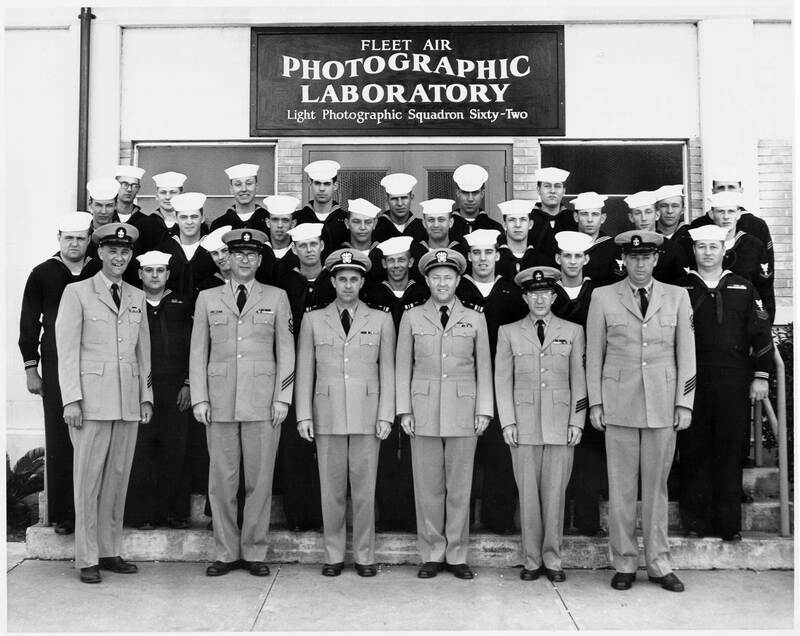 Robert Koch, VFP-62 senior photo officer looking on. 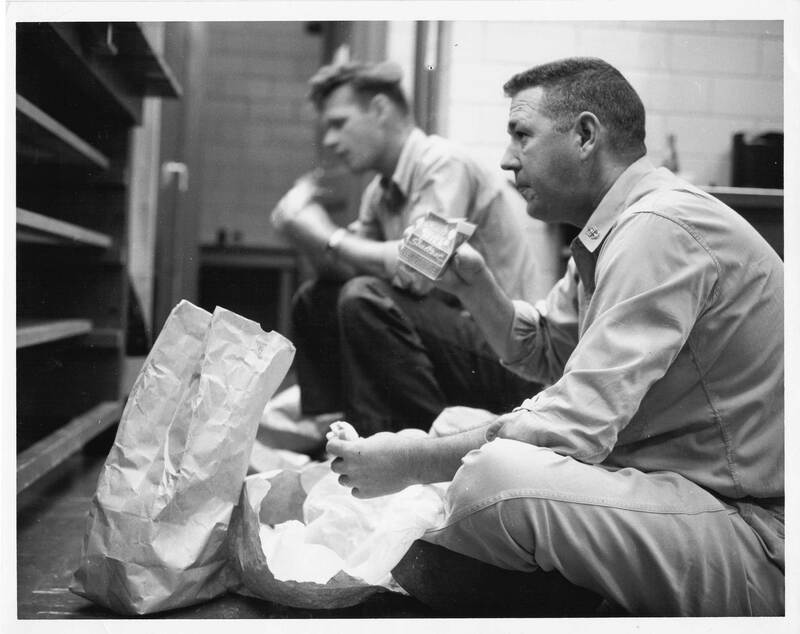 Getting a quick bite while processing film from the VFP-62 reconnaissance missions over Cuba at the Fleet Air Photographic Lab NAS Jacksonville, Florida (circa October 23 - November 15, 1962). 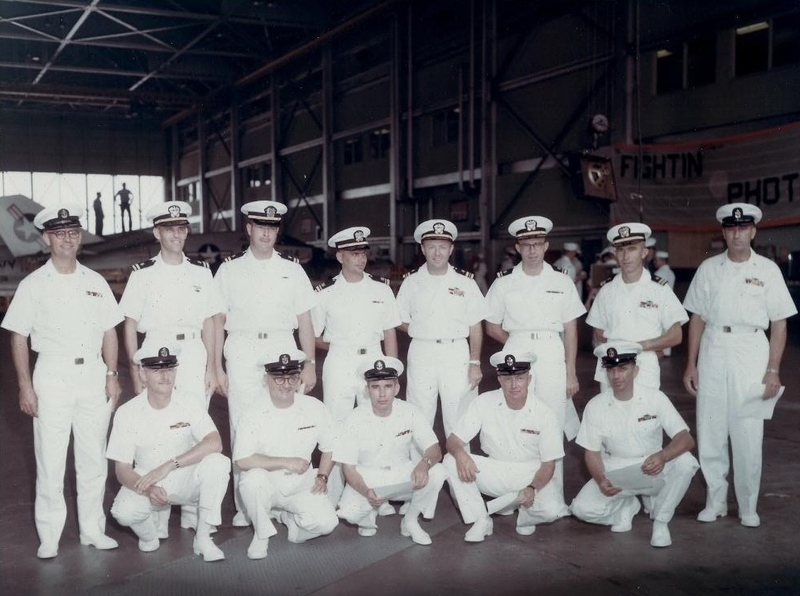 VFP-62 officers and chiefs gathering after the Cuban Missile Crisis. Chief Newman standing on the right. Click photo to enlarge. 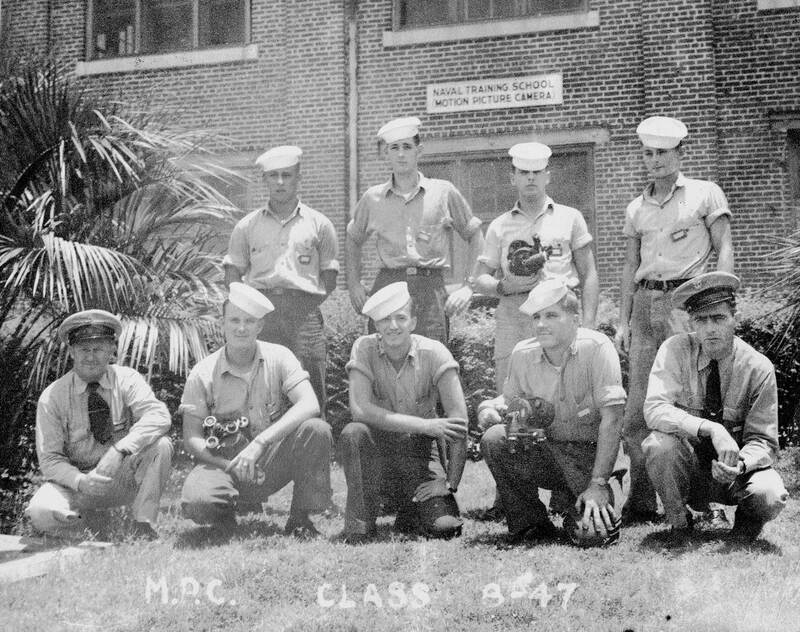 Captain Ecker wrote in his memoir of the Cuban Missile Crisis (later written into our book: Blue Moon Over Cuba: Aerial Reconnaissance during the Cuban Missile Crisis): "VFP-62 was assigned the low-level photographic reconnaissance during the history-making Cuban Missile Crisis of 1962....The squadron's achievements are reflected in the Distinguished Flying Crosses awarded to some of our pilots and the Navy Unit Commendation which the squadron received as a whole. Our Navy Unit Commendation was the first ever given in peacetime, and the first ever presented personnally by the President of the United States." "The chiefs are the chief petty officers of the US Navy...These non-commissioned officers are the backbone of any unit or ship. I had about 50 CPOs in the squadron....It was because of professionals like this that my squadron command was so successful." "Roundup" logo created by Chief Newman's son, Ed, for an August 1971 reunion.